I've been seeing a lot of fellow designers post their progress for this challenge and I was intrigued to give it a try. The premise is you subscribe and Daily UI sends you an email a day with a very high level prompt. It is then our job to interpret and carry out the task. The task was to create a login flow and I wanted to tie it into context. I'm always looking for new recipes and I wanted to revamp the "Allrecipes.com" login/ register pages. So far so good... that wasn't so bad. It's funny how we do so much online shopping, yet when I had to start this design without Pinterest or internet help, I couldn't remember all the form fields that were required for an online transaction. Honestly, this was the hardest one so far. It's hard for me to only think about designing a homepage "above the fold" and not consider the navigational structure or what other content exists on this page. I still condensed some of the navigation from their existing site, but would be a worthwhile future project to dig further and re-design their entire navigation structure. I wanted to explore with different fonts, colors and styles. This time, I approached using rounded shapes as my button styles. Today's task was actually a lot of fun. I played around with different overlays and opacities, went through a lot of trial and error with colors before I was satisfied with how it looks. (Still not 100% yet) I would definitely love to come back to this assignment to flush out more pages of the app! But I definitely spent the most time on this compared to the others. The task was to create a user profile and I decided to go with the mobile version. I channeled one of my favorite TV shows, Parks and Recreation and created a profile for the famous Leslie Knope. The task was to create a settings page and I wanted to take a stab at revising the Spotify account settings. I also explored different typography and used rounder button styles. No thoughts on this task. It wasn't as challenging at the other ones. The task was to create a 404 page and I was inspired by my favorite books, Harry Potter. I've always been an avid HP fan, so I wanted to use one of the quotes from the books for this. This was a lot of fun! I couldn't decide which is my favorite yet between these. I was also thinking of doing one more in the future, with an illustration of The Room of Requirements. " If you have to ask, you will never know. If you know, you need only ask." The task was to create a music player and I was thinking of a more engaging way to showcase the song playing at the time through clean icons and strong visual imagery. This song has been on repeat for me for a very long time. Ed Sheeran has a lot of catchy songs and I love his music and lyrics. This was overall a very fun task because I used different colors and went for a more clean and minimal look. The task was to create a social share concept. 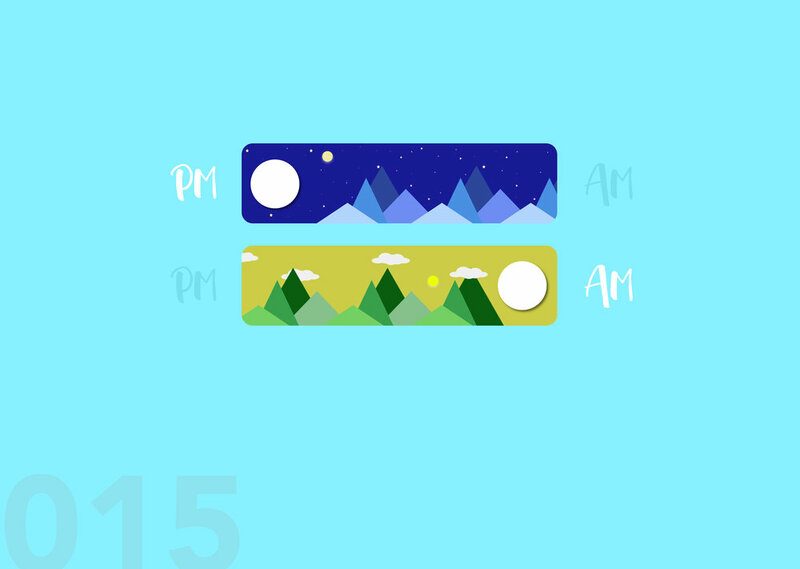 Since I haven't played with the apple watch designs just yet, I wanted to use this time to explore that. I can't believe it's only the 10th day! Some of the tasks has been a lot of fun, while others, I really struggled with both the concepting, but also finding time to create. The task was to create a flash message to include a success and an error message. I wanted to explore using a different cartoon-y style. This was overall a pretty fun one, mostly because I tried to challenge myself with more of illustrations. The task was to create single product e-commerce page and I decided to use the product I've been recently thinking about purchasing. The embroidered details are to die for! This was a really fun and different approach. I might come explore this a bit further later this weekend to flush out a full product detail page. The task was a messaging platform of some sort and I wanted to add to the previous day's task. So I ended up creating a chatbot as a part of the e-commerce experience to address customer questions while going through the purchase funnel. I briefly had a project while at GMR to work with chatbots and it was actually a lot of fun. I'd love to explore designing UX for chatbots in the future and would definitely love to flush this out as a future self initiative project. The task was to create a countdown timer and I decided to use this opportunity to design a landing page for a side project I'm working on with two other friends. I definitely will be coming back to animate this task and continue to tweak the site. The task was to create an on/off toggle and I wanted to do something that showcases simple geometric shapes. I'll have to admit I took a break from #14 for a couple of weeks because things got chaotic at work. But getting back into this is nice and I forgot how much I miss visual design. The task was to create a pop up modal. After some brief time off, I picked up this 100 day design challenge again with Day #16, which is a pop up modal asking users for live feedback on a new feature launch. The task was to a create a receipt page and seeing that it was a day after Black Friday, I thought this was fitting. I purchased the new Google Pixel 3 phone over black friday with their deals and thought it was fitting to showcase a different receipt UI. The task was to create a dashboard and I decided to showcase analytics on top ROI measurements we measure when doing digital work. There are so many ways we can approach dashboard designs, but I went with a more minimal and simple approach. Today’s task is to create a Leaderboard and I decided to switch it to mobile view compared to the previous day. Gamifying a simple task is always fun and gives users an incentive to want to participate. I created a simple mobile leadership board that shows the top winner, with monthly and yearly views. I wanted to showcase a location tracker that ties back to day #17 to track the status of my Google Pixel 3 phone. Needless to say, Fedex delivery is the worst. The task was to create a home monitoring dashboard. This was very fun and pushed me to do a more minimal design than I’m used to. I was thinking back to the thermometer app that we have at home and what are the key elements they show. The task was to create a search hint so I created an autosuggest search dropdown. I actually just did something similar for a client project so this was by far the easiest one. I challenged myself by focusing more on the hierarchy of content and utilized simple blue linear UI to keep it simple. The task was an on-boarding screen and I went through a 4 step on-boarding flow. I love thinking through on-boarding scenarios, especially ones with cool animations and micro-interactions that engages the user. I’m currently thinking through an app solution related to Travel, so I wanted to create an on-boarding experience that relates to that. The task was to create a ticketing UI and I decided to do a flight ticket using clean and flat design. This was actually a lot of fun and I’d love to come back and think through a bit more of the animation, as well as adjust the barcode. The task was to create a UI for a TV application. In anticipation for season 8 of Game of Thrones, I created a TV application UI to show my excitement, utilizing typography and photography as the main focal point. The task was to create a subscription UI. I can’t say I was very excited to do this challenge… subscriptions are rarely fun. But I might come back to this and make it more interesting. The task was to create a dropdown and I decided to redo the navigation dropdown/ mega menu for a website I recently visited. This was a lot of fun rethinking through their dropdown navigation. It’s a bit more clean and engaging for users. The task was to create a Contact Us page or form field and I wanted to challenge myself by using a different font and UI style.